Kroos. "There have been more shadows than expected this season at Real Madrid"
Real Madrid is preparing an operation to sign the French international Kylian Mbappé, Zinedine Zidane's priority in his return to the bench, according to "France Football", which figures the amount of the offer in "about 280 million euros". The president of Madrid, Florentino Perez , must go on the attack "in the coming weeks" with an offer that would be around that amount, which would make him the most expensive signing in history, explained Monday the French magazine in the preview published in its web of the contents of its weekly edition. The star of Paris Saint Germain (PSG), who paid in the summer of 2017 for his signing of 180 million euros , appears at the top of the list of the goals of the merengue club. Because Zidane wants to rejuvenate the squad with two or three outstanding players that reinforce the midfield and the front, says "France Football", which predicts "a hot summer" in the transfer market. The return of 'Zizou' to the controls of the bench of Madrid has triggered the rumors in France about the will to take with who, at 20, appears as the "crack" of the future. Mbappé himself, who has never hidden his sympathies for Real Madrid , announced two weeks ago on French television that the next campaign would continue in the ranks of PSG, where he arrived from Monaco. However, those statements were made before the return to the bench Zidane Madrid, who retains a great capacity for attraction and influence on the new French star. 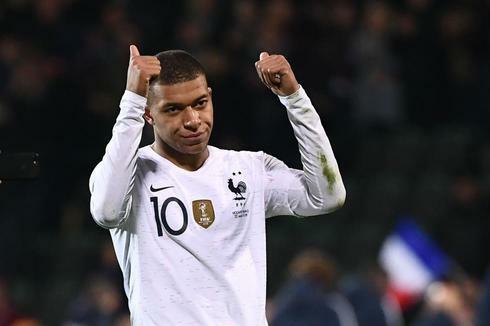 Madrid already had interest in hiring Mbappé in the summer of 2017, but then the striker decided to stay in France to join the ranks of the club in his childhood city, since he comes from the Parisian suburb of Bondy. FútbolPogba lets itself be loved: "Real Madrid is a dream"
FútbolSolari: "We have to get up"